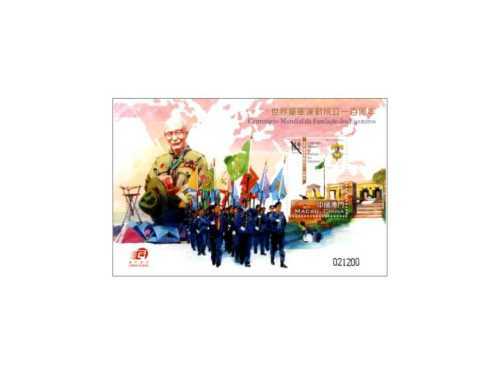 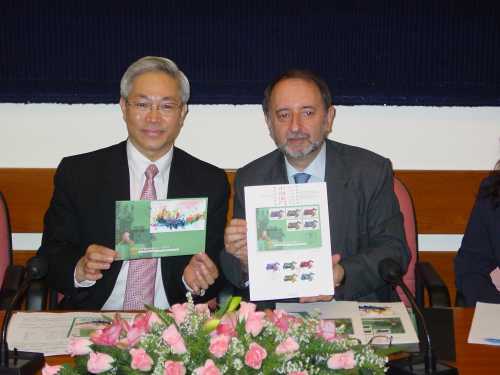 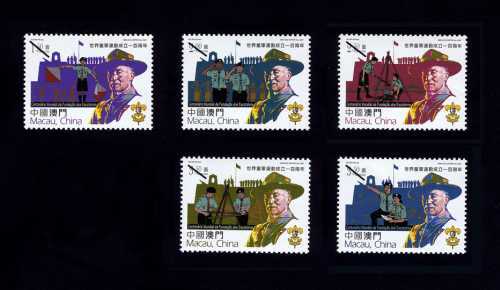 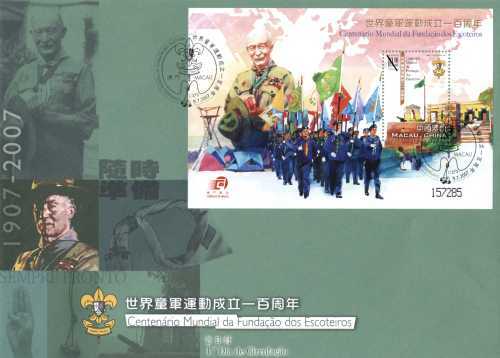 The stamp designer for this issue is Mr. Ng Wai Kin, and the text for the information brochure is written by The Scout Association of Macau. 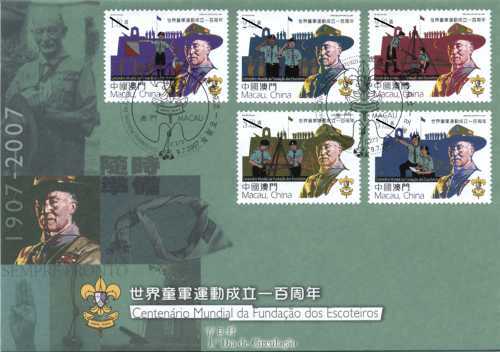 This is the seventh issue in 2007. 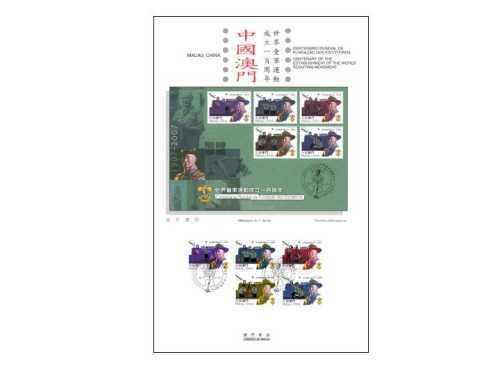 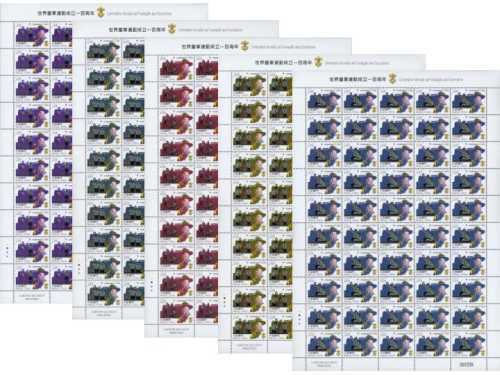 The issued stamps are as “Lunar Year of the Pig” on 08/01/2007; “Shek Wan Ceramics” on 03/02/2007; “Scenes of Daily Life in the Past IV” on 01/03/2007; “Chinese Traditional Shops II” on 08/05/2007; “Seng Yu – Idioms II” on 01/06/2007 and “Literature and its Characters – A Journey to the West II” on 18/06/2007. 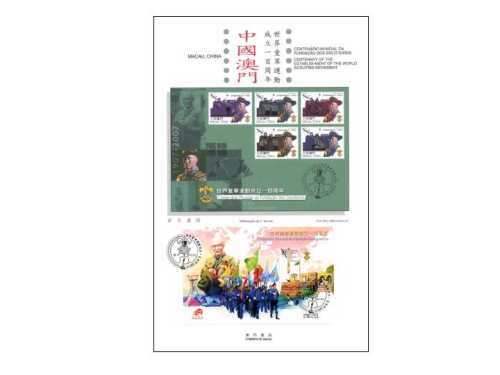 To celebrate the Science and Technology Week 2007, Macao Post announced that a Temporary Post Counter will be set up at our Philatelic Shop located at Macao Forum and Macao Post Headquarters during 13th to 19th July 2007 providing the commemorative cancellation service for the “Science and Technology Week 2007”. 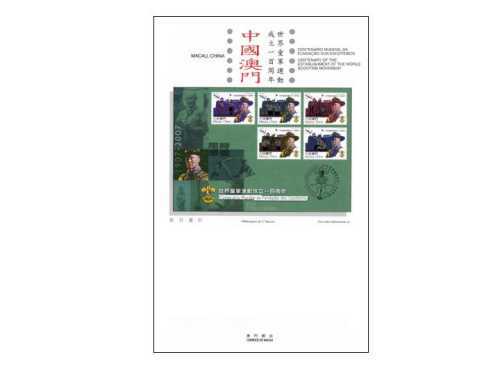 To celebrate the Military Summer Camp for Macao Students, Macao Post announced that a Temporary Post Counter will be set up at Our Philatelic Shop located at Macao Post Headquarters, at 13H00 to 18H00 on 15th July 2007 providing the commemorative cancellation service for the “Military Summer Camp for Macao Students”.